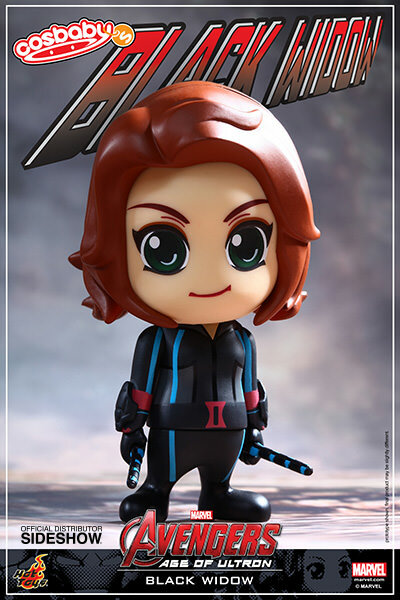 Marvel's record breaking blockbuster, Avengers: Age of Ultron has brought the superhero hype to a whole new level, with many fans collecting a large array of collectibles from this exuberant movie! 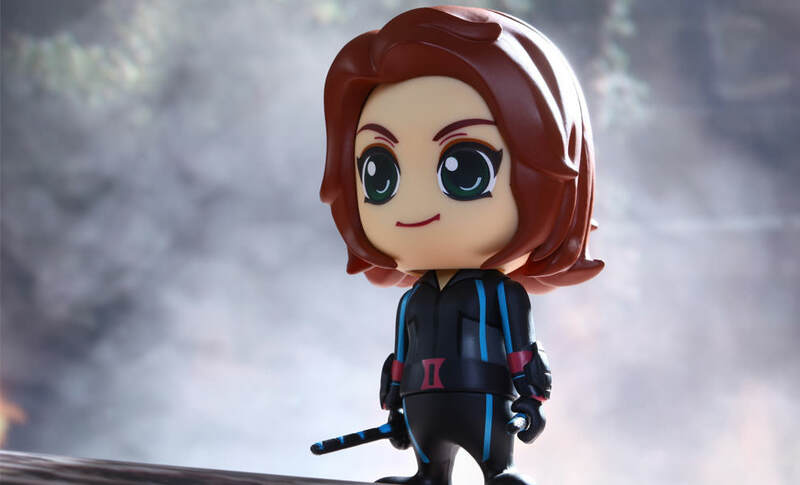 Following the introduction of the Hot Toys Marvel's Avengers: Age of Ultron Cosbaby Series 1 and 1.5, Sideshow Collectibles and Hot Toys are happy to expand the series and present the new Avengers: Age of Ultron Cosbaby Series 2! 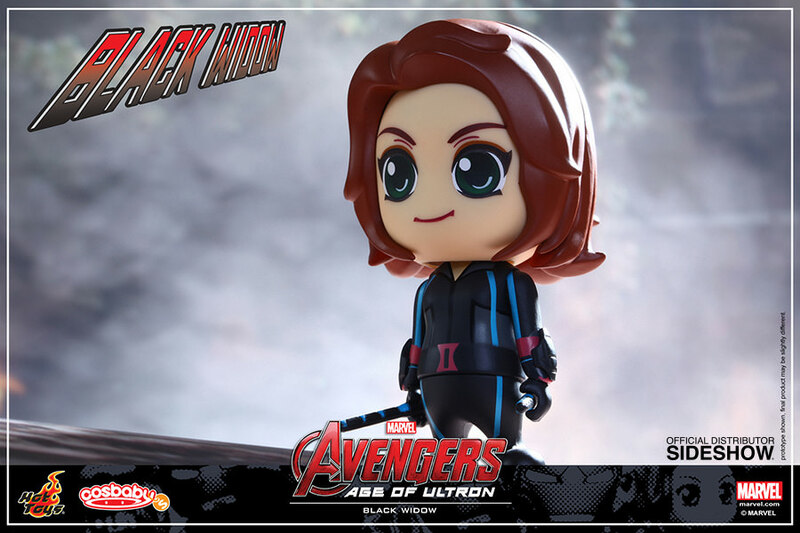 This series features Tony Stark's new suit from the movie Iron Man Mark XLV, Ultron Prime, Ultron Mark I, War Machine Mark II, Black Widow and Vision! The collectible set of 7 includes a Tony Stark (Mark XLIII Armor Version) that is exclusive in the set! Each Cosbaby stands approximately 9.5cm tall and has a bobble-head. 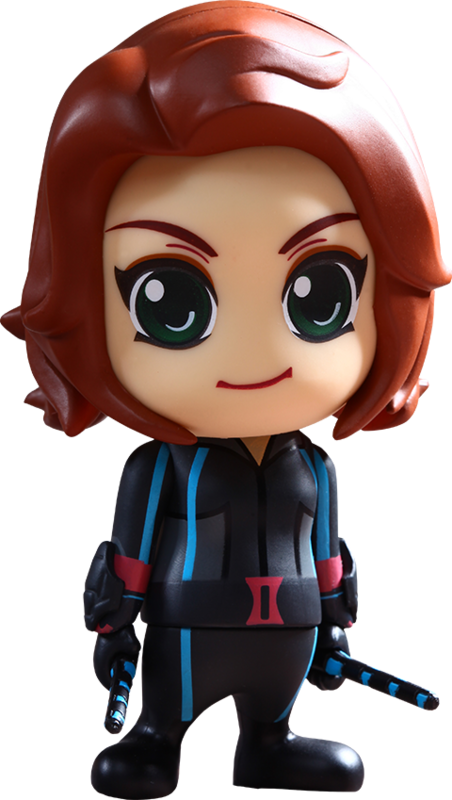 The new Avengers: Age of Ultron Cosbaby Series 2 is ideal for any collectibles fan and makes a great addition to your desk or shelves! "Im always picking up after you boys"
This is an adorable little figure! She looks almost exactly like she does in the pictures. I can't wait to buy more of them. She's just so cute!